Lengthen your necklaces with these chain extenders and findings. Chain extenders can be added to the end of the necklace, to make it more adjustable in size. They are great options to add to your pieces when making jewelry for others. You'll also find items like quality tags, ball chain connectors, and cup chain findings that can also be used to lengthen your chain strands. All of these components are available in a variety of beautiful finishes, from bright sterling silver to classic gold and more. Make sure you are prepared for resizing or lengthening your jewelry-making projects with these helpful items. For a professional finish in designs, try the 3mm silver-plated brass rhinestone chain end cap with ring. This finding works with 3mm rhinestone chain. Use it with clear or multi-colored rhinestone chain. All you have to do is place the crystal on the end of the chain into the slot and fold the prongs of the finding over the crystal to secure it. The small ring at the end of the finding makes it easy to attach a clasp or other component. This finding features a bright silver shine. Complete designs with professional style using the Swarovski 00286 Rhodium-Plated Foldover Crimp End. This finding works with the Swarovski 27004 Rhodium-Plated Cup Chain with 1028 PP18 XILION Crystal. All you have to do is place the cup on the end of your chain into the slot and fold the prongs of the finding over the stone to secure it. The small ring at the end of the finding makes it easy to attach a clasp or other component. This finding shines with bright silver color, so it will work with a variety of color palettes. Finish brilliant designs with the 2mm silver-plated brass rhinestone chain end cap with ring. This finding works with 2mm rhinestone chain. All you have to do is place the crystal on the end of the chain into the slot and fold the prongs of the finding over the crystal to secure it. The small ring at the end of the finding makes it easy to attach a clasp or other component. This finding features a brilliant silver gleam. Make sure your designs have a professional finish with the Swarovski 00594 Rhodium-Plated Spring Ring Foldover Crimp End. This finding works with the Swarovski 27104 Rhodium-Plated Cup Chain with 1088 PP14 XIRIUS Crystal. All you have to do is place the cup on the end of your chain into the slot and fold the prongs of the finding over the stone to secure it. The small ring at the end of the finding makes it easy to attach a clasp or other component. 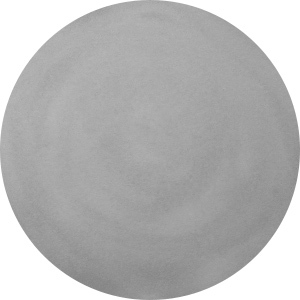 This finding displays a bright silver shine, perfect for use in any project. Your designs are sure to stand out when you use the 3mm gold-plated brass rhinestone chain end cap with ring. This finding works with 3mm rhinestone chain. Try it with clear or multi-colored rhinestone chain. All you have to do is place the crystal on the end of the chain into the slot and fold the prongs of the finding over the crystal to secure it. The small ring at the end of the finding makes it easy to attach a clasp or other component. This finding features a regal golden glow. Finish sparkling designs in style with the Swarovski 00011 Rhodium-Plated Foldover Crimp End. This finding works with the Swarovski 27004 Rhodium-Plated Cup Chain with 1028 PP11 XILION Crystal. All you have to do is place the cup on the end of your chain into the slot and fold the prongs of the finding over the stone to secure it. The small ring at the end of the finding makes it easy to attach a clasp or other component. 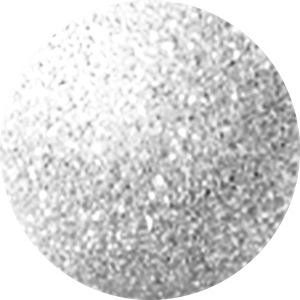 Best of all, this finding features a silver shine, a versatile tone that will work anywhere. Add a professional finish to your designs with the Swarovski 00582 Rhodium-Plated Foldover Crimp End. This finding works with the Swarovski 27104 Rhodium-Plated Cup Chain with 1088 PP24 XIRIUS Crystal. All you have to do is place the cup on the end of your chain into the slot and fold the prongs of the finding over the stone to secure it. The small ring at the end of the finding makes it easy to attach a clasp or other component. This finding features a silvery brightness that will work with any color palette. To complete rhinestone chain designs, you need the 3mm gunmetal-plated brass rhinestone chain end cap with ring. This finding works with 3mm rhinestone chain. All you have to do is place the crystal on the end of the chain into the slot and fold the prongs of the finding over the crystal to secure it. The small ring at the end of the finding makes it easy to attach a clasp or other component. This finding features a daring dark silver shine. Complete your designs with the 2mm gold-plated brass rhinestone chain end cap with ring. This finding works with 2mm rhinestone chain. All you have to do is place the crystal on the end of the chain into the slot and fold the prongs of the finding over the crystal to secure it. The small ring at the end of the finding makes it easy to attach a clasp or other component. This finding features a regal golden shine.